← Jingletown Neighborhood Tours June 2 and June 9 starting at 1 pm. This year we will have tons of artists participating in the annual East Bay Open Studios 2012. Every year Pro Arts Gallery in downtown Oakland puts on a huge open studio event. Hundreds of galleries, art houses, street art, art lofts are all open to the general public for two full weekends. Each neighborhood in the entire east bay has its own special events, Please look below for all the events that will take place in Jingletown Oakland this year. 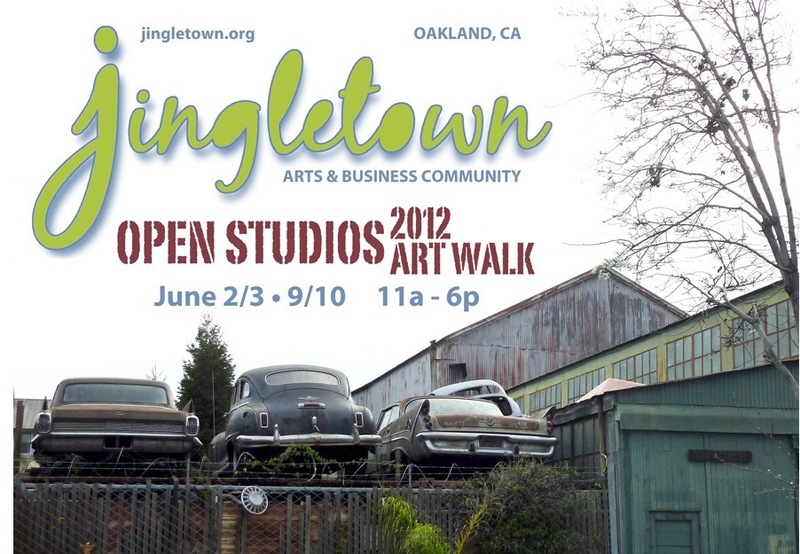 Come join us for art, fun, food, and experience our wonderful Jingletown Oakland community. Nearly 30 artists will be participating this year in the East Bay Open Studios, we also have the Peterson Art Wall & Garden project as well as tours of our Jingletown neighborhood. One hour walking tour learn about the history of Jingletown. 20.00 suggested donation per person. Wear walking shoes this is a walking tour.